I don't think that CTA considers the Dan Ryan and South LSD to be the same corridor. When the Green Line was shut down (around 1995), the buses on 43rd, 51st, and 59th were rerouted to feed the Red Line stations. The Green Line project ended, but the bus reroutes never did. Now, if the ride on the Red Line becomes so bad that people finally go back to the Green Line??????????????? The Red line is affected by slow zones too on the north side main, especially south of Loyola. Track 1 seems to be the only track up there that's not too bad. They are all old ties though. As far as a Dan Ryan shutdown, it took two years to do the blue/kennedy segment and that's much more real estate than 18th to 95th. The reason it's taking 3 years is most likely because there is not going to be a shutdown of service. They may have the shoefly tracks return to Dan Ryan down the shoulders of the expressway. As far as other options, now south siders have a reason to try BRT, but that would only work for customers east of the Dan Ryan. For a lot of people, perception is reality, and most people I know consider the Green Line more dangerous than the REd Line and also slower (more stops and less frequency). Also, the Green Line competes with the 3, and 4 routes which have pretty hefty ridership for the same reasons, senior citizen ridership aside. As for the scope of the work, for a three year project you are probably looking at late night single tracking or a repeat of what happened a few years ago, but no shutdown and shuttle service like that of the Blue Line, although that type of weekend shutdown with shuttle buses running to the Green Line would make sense. . I'm not saying that CTA considers LSD and DR the same corridor, but that people east of the Dan Ryan would migrate to that area for alternate service to the Red Line during construction. I did it when the Red Line slowed down and started taking the 14, X28 or 26 home to the 95E. And I'm also thinking what would the people south of 63rd do without the Green Line? And Why wouldn't the Red Line be shutdown on weekends like the Blue Line did? Same type of work to do plus less distance to cover with a shuttle bus. They used shuttle service before in the 2006 project that time when Sox-35th was closed and they always pull some artics to the side for emergency shuttle service. I had figured as much in comments on the CTA Tattler--especially in light of Hilkevitch's article that "these would be torn down...officials said," also in light of CTA not throwing RPM overboard--that this was only an interim fix with apparently a very short FTA useful life. So, the question is how bad conditions really are. Like you, I question Granville, and there seems to be a flip flop between Berwyn and Bryn Mawr. So, the two main questions are whether this is capital or maintenance, and whether CTA really believes that it will get the money for a full RPM, and when. Noting that the Wilson grants already have constrained the scope of the project (although CTA does not admit to the full scope of that restriction, only that the transfer station plan is modified because Wilson will be rebuilt as a transfer station, but not that this was an additional reason for killing the subway), I expect more of the "fix it now" type actions. The article also mentions hiring Goldman Sachs to figure out how to finance it, but unless there is some source for paying back bonds, Goldman isn't going to be able to sell them, which is their usual business. There really can't be a public-private partnership unless the private sector can make money, like off the Skyway and parking meters. For instance, we are all enjoying the airport express that was supposed to be brought to us by a public-private venture in time for the Olympics. These are capital expenditures, given the board had to approve them. If a P3 is going to be the financing mechanism for this project, its highly likely funds will be repaid with future anticipated capital dollars from state and federal sources over 30 or 40 years (which is how existing CTA bonds are structured, to some degree). I thinking the CTA is seeking a plan B and C if full state, federal, and local funding doesn't materialize for this project... which makes sense given the scope of repairs that are needed. Which essentially was my point. CTA already knows how to issue capital money anticipation bonds; they did so for the Brown Line. They also have the strange leases on the Novas and Green Line. The hitch here, as you imply, as that "no funding source has been identified" for RPM, but they are paying the consultants because they think a federal transportation bill will require it,even though the CTA Tattler posted a link to some association protesting that the proposed transportation bill would cut out transit. In essence, this is similar to Sick Transit Chicago complaining in 2007 about Metra being given bonding authority. That was undoubtedly for the Highliner replacement, but, as far as anyone can tell, Metra didn't have a source for servicing the bonds, and had to wait for the 2009 capital plan, with the taxes and fees on pop, liquor, candy, license plates, video poker, etc. to get the money. So, the only way the PPP is possible is if CTA raises the fares to the extent that the "partners" raised tolls on the Skyway or parking meter rates. The Illinois Tollway proved that they could get away with almost doubling tolls without the PPP. But could CTA get away with a $6 base fare, indexed upward over the years, or the authority to install the PPP's video poker machines on each vehicle? I doubt it. That certainly is not the only way a P3 is possible in this context. There are a handful of ways this could be structured. If a deal were to materialize in which a % of fares had to be dedicated to paying back funding partners, it certainly would not be structured the way the parking and tolling deals took place (given the nature of mass transit, and the amount of scrutiny it would get). Your reference to "strange" leases on the Nova's and the Green Line aren't so strange in a global context. Many other parts of the world use leasebacks to finance infrastructure. My reference to "strange" was more that if anyone can figure out what is in the back of the CTA budget and what pays for it, feel free to explain it. Apparently the creditors are being paid, but it is not clear that from what. If CTA is that in hock, it has to have some effect on fares. Unfortunately, Busjack's supposition above (that it won't be close to a shutdown of the Red line) is apparently incorrect, as is the information posited on a different transit message board/mailing list that the south Red line (Dan Ryan) work was going to be done in two phases, with a shuttle train providing service from 63rd to 95th. As I was told, the CTA's head of customer communication has informed a city department(s?) that the south Red line is going to be shut down completely from Roosevelt to 95th. Red line trains will operate on the Green line tracks from Roosevelt to Ashland-63rd, making all Green line stops. Green line trains from Harlem to Cottage Grove will continue to operate, while other trains from Harlem will go around the Loop and head back to Harlem. Bus shuttles will go from Garfield Ashland-63rd (edited to reflect correction) to Red line stations at 69th, 79th, 87th, and 95th. There will be other extra bus service, too. The complete shutdown is supposed to last 5 months and will start in spring 2013. The CTA says it will have information about the project available on Twitter and Facebook and its web site, so customers will know about the project and how it will affect their commutes. As I was told, the CTA's head of customer communication has informed a city department(s?) that the south Red line is going to be shut down completely from Roosevelt to 95th. Red line trains will operate on the Green line tracks from Roosevelt to Ashland-63rd, making all Green line stops. Green line trains from Harlem to Cottage Grove will continue to operate, while other trains from Harlem will go around the Loop and head back to Harlem. 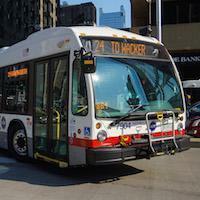 Bus shuttles will go from Ashland-63rd to Red line stations at 69th, 79th, 87th, and 95th. There will be other extra bus service, too. That scenario would be interesting, but there would be a question of whether the south side elevated would be overwhelmed with too many trains. Red line trains are quite frequent and then they would add half the green line service on top of it. Then they would force all SB green line riders from the loop/west side on to half the present service. Then there would be confusion on the loop elevated both at the ridership level and operational level. Would the trains (green) that turn at the loop run light on the wells/van buren side (if not additional signage on those stations will be needed) That being said the WB loop elevated Wabash/Lake side(green line) would then have half the service again to serve the west side/Oak Park bound commuters. That stretch gets really packed now especially in the rush. Why would they do this you may ask? It would seem that they want to complete the project as quickly as possible. 5 months is quicker than the two years it took to do the blue line Kennedy rehab, but may be more disruptive. I wonder would it be practical to build a connection at the crossing between the Dan Ryan and the Ashland/63rd branch. This way they still could serve the south end of the red line. Maybe the connection could be used in the future for equipment moves or a red line local service or an extension of brown or purple line line service to the south side. At least it gives you additional ways to travel around an obstruction like on the north side and may increase ridership on the south side green line stops with more accessibility from the far south side. What the CTA does never makes sense. and the "the CTA's head of customer communication" can't be believed, but if Emanuel shut down the "backbone of the system" as he calls it, for five months, that would sure insure an opponent's election in 2015, If you thought the yelling about the proposed one track on the Metra UPN was anything, just imagine that. Heck, he might have to give out free rides on the Gray Line to relieve the pressure. Buses won't do it, especially since the fleet was shrunk two years ago. Also, if nothing else, (1) this is rank hearsay, and (2) there would be no point having the bus shuttles from 63rd-Ashland have to drive back east two miles to serve Dan Ryan L stations on State--Garfield would make more sense. Again, while I don't have an inside with the incompetents who run the CTA (especially Claypool and Sullivan), this has too many holes to be credible. Anyway, I figure that someone like Bushnell would brief da Mare. what all the abbreviations mean. On page 21, whether they have flipped Bryn Mawr and Berwyn (compare the press release; and CTA Tattler coverage, including Zolk's comment). Good point - shuttling from Garfield Green to Red line stations south makes more sense than shuttling from Ashland-63rd. Sure it's "hearsay" - as is much of the information presented here. I don't have any documents to support this info, and I didn't claim to. Take it for what it is and see how much of it actually holds up as plans are announced. If nothing else, this discourse might prompt the CTA to adjust its shuttle plans if they are not already planning what you suggested. ...If nothing else, this discourse might prompt the CTA to adjust its shuttle plans if they are not already planning what you suggested. One thing about which I am absolutely certain, Claypool and crew don't take input from here or the CTA Tattler (he proved that last July) or much any other source. However, there is one way where some transit people (at least Metra) listen to something. Consider all the preachers who complained about Metra's proposal to have an even slope on its fare chart, meaning that the old to new fare difference in Zone B was percentage-wise higher than in any other zone, even though the resulting rollback of that fare increase mostly benefited riders from the Ravenswood UPN station. Now, imagine the outcry if their parishioners were (1) not only forced into shuttle buses but (2) then, after a slow ride from 63rd to 95th, the 10 or so shuttle buses that would have to come and leave maybe every 10 minutes to get the 12,000 riders a day who board at 95th* (and I assume a similar number who exit) to and from that station, many of them to board another bus to get south of 95th, have to get into that already crowded bus terminal? Someone going to say, West 119th, would then have a four hour ride. What do you think would be the lead story on the local news? *Based on the Jan. 2012 Ridership Report. I've since learned via the local alderman that Bryn Mawr is being targeted for a larger renovation that's currently in the early planning stages. I don't see why they don't do like they did with the Blue Line to O'hare, shut it down from Midnite Friday to MIdnite Sunday working around the clock, and run the shuttles from 95th-55th Red Line. I think you are more than likely going to see what occurred on the redline a few years back. They will put temporary tracks and run the trains on the emergency lanes of the Dan Ryan while work is being done. That was possible because the expressway was already constricted due to construction on it* and apparently only at the crossover, not lengths of track. New Flyer is probably heading in the right direction. There is, of course, the option frequently exercised of two way traffic on one track, enabled by the bidirectional signals. *While the local lanes could handle some of the traffic when the express lanes were closed, the L currently does not have that alternative south of 63rd. ... the WB loop elevated Wabash/Lake side(green line) would then have half the service again to serve the west side/Oak Park bound commuters. That stretch gets really packed now especially in the rush. ...shut down the "backbone of the system" as he calls it, for five months ... Buses won't do it ... there would be no point having the bus shuttles from 63rd-Ashland have to drive back east two miles to serve Dan Ryan L stations on State--Garfield would make more sense. 35th: Reroute 39 to remove LaSalle/35th/Wentworth. 39 already stops at Green(Temp Red)-Indiana. 47th: Reroute 43 to remove Wentworth/47/LaSalle. Reroute 15 and 51 to remove Wentworth/47th/Wells AND Extend 51/Shorten 15 to Green(Temp Red)-51st via Prairie/50th/Calumet/51st. Alight Route 51 passengers on NB Prairie at 51st. Board Route 15 passengers SB on Calumet at 51st. Garfield: Reroute 59 to remove Wentworth/Garfield/Wells AND reroute 59 EB via 59th/Indiana/Garfield/King/61st, WB via 61st/King/Garfield/Indiana/59th to Green(Temp Red)-Garfield. 63rd: No changes. See 63rd-95th Shuttle Buses. 69th: Extend 67 in both directions to Halsted/63rd via Halsted St/Halsted Pkwy East/Union/63rd/Halsted St. Extend routes N5, 30, 71 via State/Garfield to Green(Temp Red)-Garfield. See 63rd-95th Shuttle Buses. Also, see Bus Staging at Garfield. 79th: Reroute 75 to remove Lafayette/79th/75th. See 87th station for route 24. Extend 8A NB via State/Garfield, SB via Garfield/State/69th/Lafayette. See 63rd-95th Shuttle Buses. Also, see Bus Staging at Garfield. 87th: Change 24 to full-time service from 79th/Vincennes to 87th/Racine. (existing part-time service) See 63rd-95th Shuttle Buses. 95th: After quick stop inside 95th/Dan Ryan terminal(NB & SB), extend all routes to Green(Temp Red)-Garfield NB via State/Garfield, SB via Garfield/State/69th/Lafayette. Affected routes are 29(NB only), 34, 95E, 95W, 100, 103, 106, 108, 111, 112, 119. Pace 352, 353, 359, 381. See 63rd-95th Shuttle Buses. Also, see Bus Staging at Garfield. 63rd-95th Shuttle Buses: NB-Board ANY bus on State and then transfer to Green Line or Temporary Red Line at Green(Temp Red)-Garfield. SB-Board your specific connecting bus or ANY bus EXCEPT 55 & 59 on Garfield and proceed SB on State/Lafayette to 63rd, 79th, 87th, or 95th. - Affects routes N5, 8A, 29(NB Only), 30, 34, 59, 71, 95E, 95W, 100, 103, 106, 108, 111, 112, 119. Pace 352, 353, 359, 381. * If google maps is accurate, the street view around the Green(Temp Red)-Garfield station shows an entire city block completely empty around the station. If that is still the case, then the block can be paved over for a 5 month temporary bus terminal for all the above listed routes OR Route all buses via EB Garfield, NB Prairie, EB 54th, SB Calumet, WB Garfield, with separate route boarding signs along the entirety of Prairie, 54th, Calumet, and EB Garfield. Passengers would alight NB on Prairie at Garfield. - Consider extending 48 to full-time service AND/OR new "48A" service from Ashland/63rd via 63rd/Damen/87th/Western to 95th/Western/"The Plaza". - Consider terminating route 29 at Green(Temp Red)-Garfield OR at 87th, provided all other 95th station routes are servicing State & Lafayette south of Garfield. Greenline trains operating from the loop to Harlem will terminate at Roosevelt or 13th middle track. This will not change the current routing of the Greenline in the Loop. I am curious to see if Redline trains will use 13th portal when going south to Ashland/63rd, like the Lake/Dan Ryan and Howard/Jackson PK/Englewood use to. Basically, after the 2010 cutbacks, where are you going to get either the buses or the drivers (even assuming that the state capital grant is going to pay for them)? Especially since you are assuming that Pace is willing to extend its routes another 10 miles round trip, thereby screwing up its schedules and it being fairly assumed that CTA is not going to reimburse it for the extra cost, as well as equipment Pace would need. However, based on what I said above, including whether Claypool reads this, it seems like we are getting into Fantasyland here. Especially if the construction schedule is reflected in the PowerPoint to which sam linked.